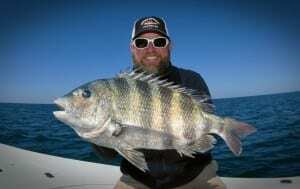 Sheepshead fishing has been on fire at the local artificial reefs with fish up to 10 pounds! 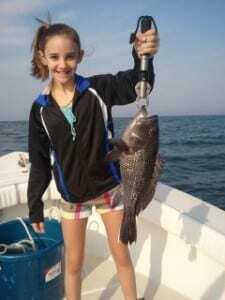 We have also been catching lots of Black Sea Bass and Black Drum. March and April are always prime months for nearshore fishing. Large schools of sheepshead gather on the reefs to spawn. They readily eat fiddler crabs and sand fleas. Black Sea Bass aren’t as picky, they will just about bite on anything.